After much searching online my daughter and I came up with this year's Easter Location, La Mer, Mooloolaba. We booked just two weeks in advance and were delighted with the affordability in On Peak times. 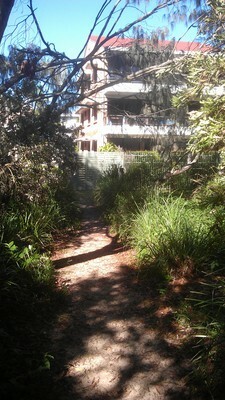 Our Holiday Accommodation apartment was located just between Under Water world and the board walk from the surf beach. A perfect location for a family wanting the beach but offering other holiday activities. So with car loads of people, groceries, surfboards and Easter Eggs we descend on the La Mer Units. We booked two units next to each other on the ground floor. A handy little gap in the shrubs between the two units made for a safe place for my 2-year-old grandson to pop through to visit us along with the Bush turkeys and blue tongue lizard. We need only walk a few steps to the locked gate and over the board walk to reach the beach or to visit the pool. 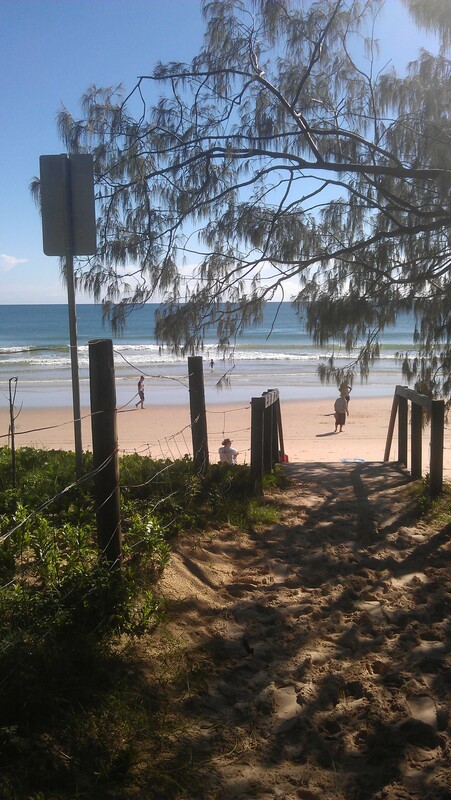 With The Sunshine Coast living up to its name we spent many happy hours in the water, early morning surfing and walking round Mooloolaba and to Alexandra Heads. 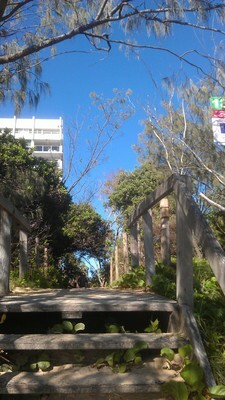 Just across the road at the back of the unit The Wharf Tavern or Fridays is idyllically positioned. A busy wharf pub and a nice place for a couple of drinks and to gaze out over the river with its fancy homes and yachts. The unit was well stocked with flat screens, fans, plenty of beds, dishwasher and a cupboard full of books and assortments of beach bucket and spade sets for the children. We had to supply our own linen and towels, but these could be hired if you didn't want the hassle of bringing your own. Some of the young couples opted for a visit to Underwater World while others went in search for some retail therapy. We found a great little coffee espresso bar called the good bean on the esplanade Mooloolaba opposite the Surf club. Single origin El Salvador 'Very sweet Syrupy body, strong notes of stone fruit. The price was a little dearer than normal with a large cup $5 and a small cup $4, but how can you measure a good cup of coffee? 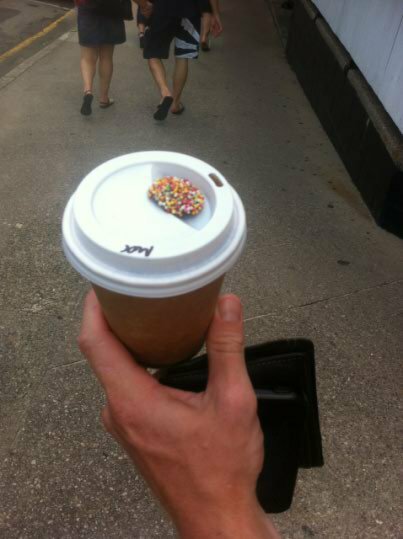 We found the smallish shop front busy with people spilling out onto the path always a good sign and after bit of a wait (15 minutes) were served our coffee with a freckle on top by a smiley waiter. A cool and funky espresso with great service. We enjoyed our first three days and decided to stay for one more night to avoid Easter Traffic on Monday. We were able to extend our stay by phone and got the last night for half price. Bargain. Overall the general census for the weekend was positive and everyone liked the diversity of the area. I would recommend Mooloolaba for a family holiday and enjoyed our comfortable unit.